Bolus volume has been widely studied, and research has demonstrated a variety of physiologic impacts on swallowing and swallowing disorders. Oral perception of bolus volume has not, to our knowledge, been investigated in association with normal aging processes. Research suggests many sensory changes with age, some within the oral cavity, and changes in swallowing function with age have been defined. The role of perception in oropharyngeal deglutition with age requires further investigation. To establish the psychophysical relationship between liquid volume and oral perception and examine changes with age. Healthy young and older adults were prospectively assessed using a magnitude estimation task differentiating five volumes of water delivered randomly to the oral cavity. A fourfold increase in liquid volume is required by older participants to perceive an approximate twofold increase in the perception of volume compared with younger healthy adults. Sensory receptors in the oral cavity provide a feedback loop that modulates the swallowing motor response so that it is optimal for the size and consistency of the bolus. Changes in perception of bolus volume with age are consistent with other perceptual changes and may provide valuable information regarding sensorineural rehabilitation strategies in the future. 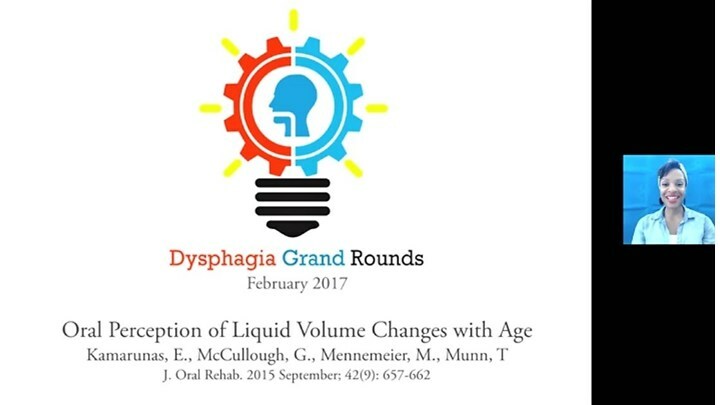 In this webinar, Dr. Ianessa Humbert discusses the DGR 2 research article 'Oral Perception of Liquid Volume Changes with Age' in detail; teaching clinicians how to appraise this research paper critically. What is the role of sensory perception and bolus volume modification in swallowing? 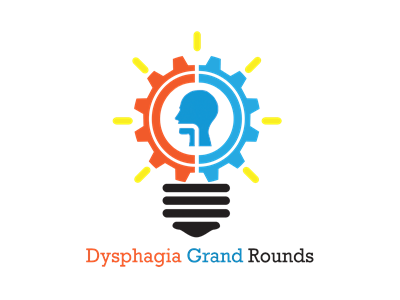 Does sensory testing have a place in dysphagia therapy? She concludes by answering some of these questions posed by dysphagia clinician Rinki Varindani Desai, discussing the clinical relevance of this study and its applications.